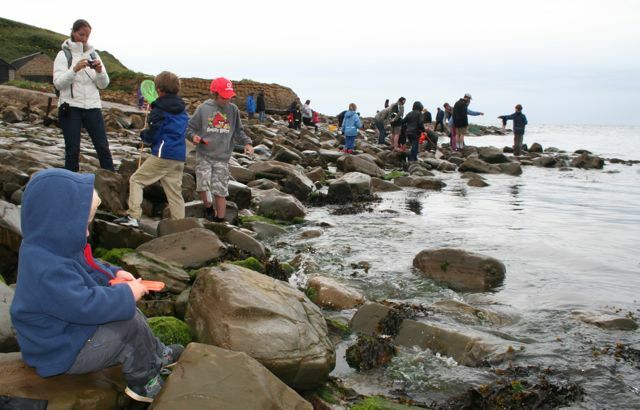 Whilst in Dorset this year we took our young son down to the Purbeck Marine Wildlife Reserve, ran by the Dorset Wildlife Trust at Kimmeridge Bay, to have a go at eco crabbing. With heavy showers predicted we hesitated a little, but with such an excited son, we just had to let him have a go! The eco crabbing was a pre-organised event ran by the Dorset Wildlife trust, so along with a sizable group of families, we were introduced to the many crabs that we might catch in the bay and why eco crabbing is changing the way we fish for them. 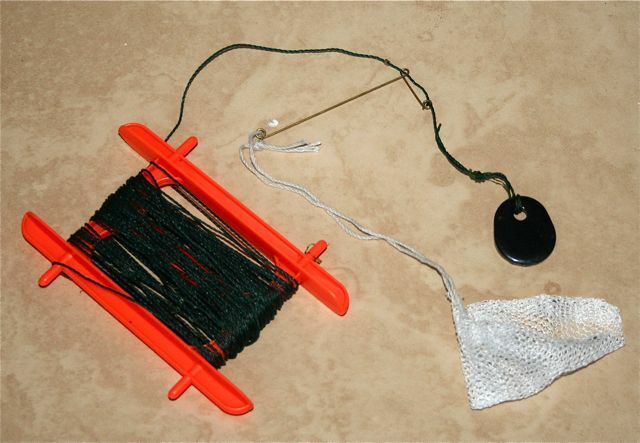 The idea is to lose the hooks on the standard crab lines and replace them with a netted bag, into which you slide your bait, draw the string and lower into the water. Instead of hooking the crabs and damaging them, the crabs hang on to the bag through the small holes and can just be lifted out and into the bucket. This way the crabs would be released back in the same condition as they came out. They also explained about not putting too many in to the same bucket as they will fight and can also use up the oxygen in the water. We headed down to the shoreline and after putting a bacon off cut, (yes crabs like bacon!) into our bag we dropped our line in to the water, just as the heavens opened! My son was so excited that we decided to get the umbrella out and hanker down with him instead of running for cover. A variety of crabs soon started coming out and even with the rain pouring, the kids faces said it all and to be honest most of the adults were enjoying it too, including me! In the end the rain really did put end to the crabbing, but it meant we just headed in to the marine centre to explore the interactive displays, and also to talk more about the snorkelling trail the centre has marked out in the bay. A trip for the future! So why look after the crabs in this way? Well, crabs are a very important in the eco system and with healthy crabs in plentiful supply, the crab fishing will carry on inspiring children for years to come! This type of crabbing is also much safer for the person on the other end, so is a good first fishing-type experience for a 2 and a half year old! You can buy a eco crab line from the Fine Foundation Marine Centre in Kimmeridge bay or you can convert your old crab line by removing the line and hooks and replacing it with a small drawstring bag, like the ones you get free in washing tab boxes. Set the seed in children’s minds, help protect the crabs, go “eco crabbing”!